Decorating for the Holidays brings back memories of family fun and laughter. What isn’t fun is trying to figure out where you put your decorations last year, then finding a place for them when all is said and done this year. There is nothing more irritating than trying to untangle a jumble of lights or looking for a specific ornament for hours. Dealing with those kinds of annoyances is a quick way to ruin your Holiday cheer. How do you solve this problem? Where are you supposed to put everything? Staying organized is key, and there are several simple ways to go about it. Doing so will keep you calm and cheery next Holiday season. After all, decorating should be fun! Most people keep their decorations in their attic or garage. This is a great idea in theory. However, most people’s’ attics and garages are stacked to the brim or filled with unnecessary items. Did you know almost thirty percent of Americans can’t park inside their garage because they have too much clutter? Your space will increase immensely once you get these areas organized, but where do you start? No matter what, make your decorations easily accessible for next year. Organizing a garage isn’t always easy. Start off slowly. Get rid of the clutter by going through your items piece by piece. Decide which ones you want to keep and get rid of those you don’t. Make sure to go through everything. Categorize your stuff as you go. This will make reorganization much easier. If you need to, buy some plastic bins for safer storage. They will keep your important things dry and mostly free of mold or bugs. 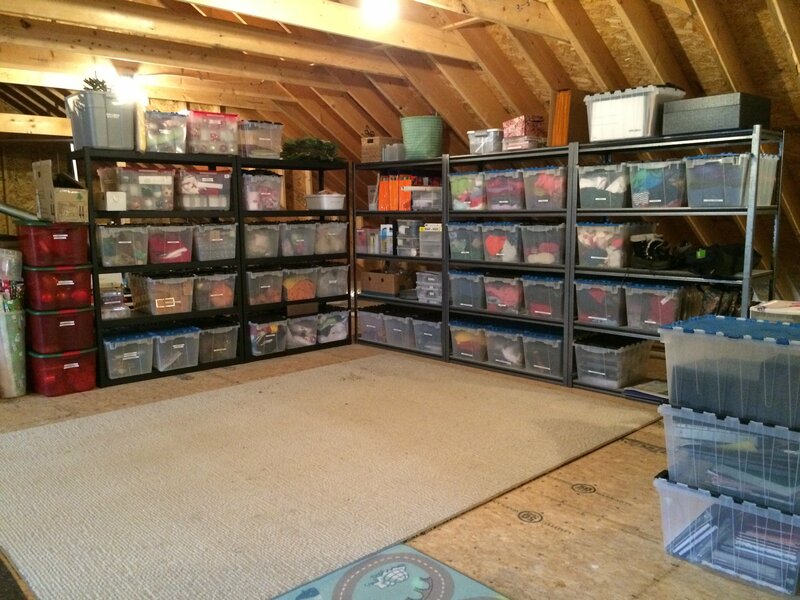 When you’re finished, it helps to hold a garage sale to simplify your space further. While you put things back inside, keep a space in mind for your decorations. A plastic bin is recommended to store those as well. Attics aren’t easily accessed like garages. However, they make great storage spaces. This is especially true if your garage is too full. Maybe you don’t have a garage. 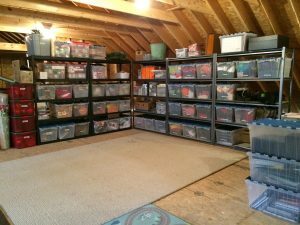 Either way, getting your attic organized is very satisfying. Take extra time for this, because attics are often full of hidden treasures you may not know you had. Take the items you don’t need and donate or sell them. Organize the rest by category. Make sure everything is safely stored in bins or boxes. As you would with a garage, set space aside for your treasured decorations. Just be aware that due to the delicate nature of most Christmas decorations, you’re going to want to still take inventory of what you have, color-code the bins so people know to be fragile with it, and keep your lights untangled. Another particularly useful tip is to use any extra wrapping paper to protect extra fragile ornaments. That way when people are up in the attic and accidentally jostle some bins or boxes, your ornaments will have a fighting chance. Staying organized and clutter-free is a fantastic way to de-stress your life. You’ll be able to quickly find anything you need throughout the year, especially during the Holidays. Precious memories are made while making hot cocoa, listening to music, and putting up decorations. You don’t want to spend that time searching for randomly placed items away from family. 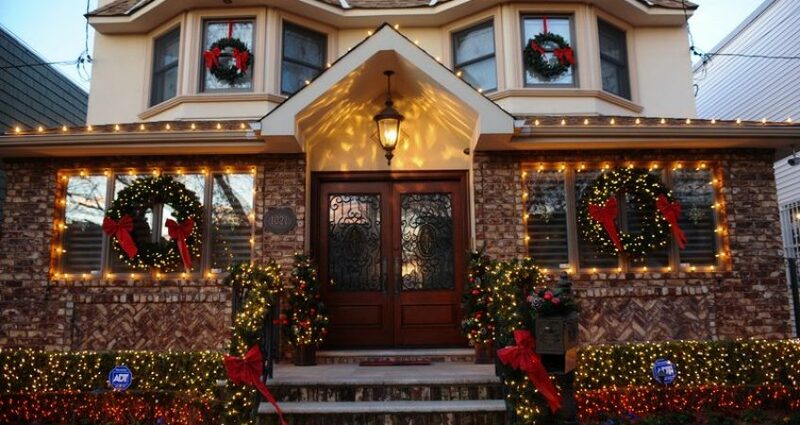 Hopefully, these tips will help you and other Holiday enthusiasts find their most precious decorations easier next year. Organizing a garage isn’t always easy. The same applies to attics. However, your hard work will be worth it. You’ll earn more time with your loved ones and keep your treasures safer. Happy organizing!